Agenus Inc. has announced the initiation of the Phase 2 clinical trial at the University of Texas Health Science Center at Houston to test its immune boosting melanoma drugs. The randomized Phase 2 study will assess the efficacy of Bristol-Myers Squibb’s Yervoy® for the management of advanced metastatic melanoma (Stage III and IV) and Prophage (to treat melanoma). 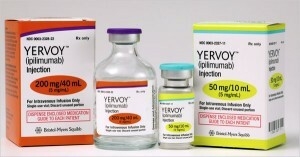 For a much stronger and effective immune response, Yervoy will be used in combination with Prophage. 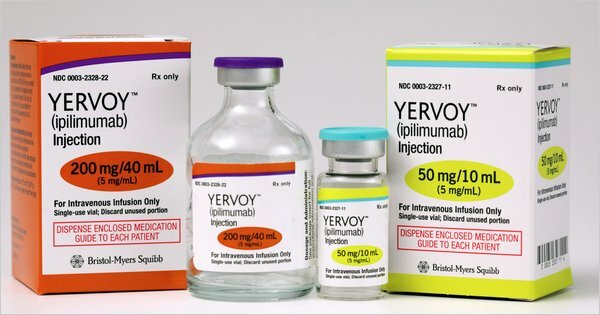 As part of the Phase 2 randomized trial, the scientists will investigate the immunogenicity, effectiveness, and safety of the two primary agents (Yervoy and Prophage vaccine) when used in combination at a single-center, open label and investigator-sponsored study. The immunomodulator cyclophosphamide will be used in 25 patients in low doses for regulatory reasons (especially in advanced disease like Stage III or Stage IV unresectable metastatic melanoma). The study that will be conducted at the University of Texas Health Science Center at Houston and led by researcher Dr. Jorge Quesada, who is also an Associate Professor in the Department of Internal Medicine (Oncology Division) at The University of Texas Health Science Center in Houston. 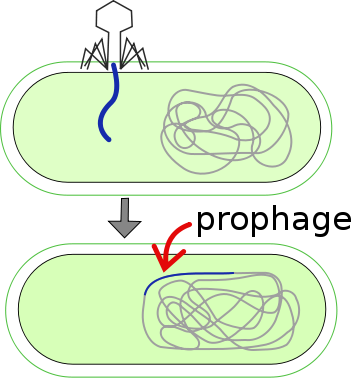 In addition to studying the clinical outcome of the drugs, this study will also involve the translational studies regarding anti-cancer immune boosting responses, to fully understand the efficacy of Yervoy and Prophage vaccine. On January 13, 2014, Agenus announced that the company has signed an agreement for the acquisition of the Europe-based 4-Antibody AG. The 4-Antibody can help in the speedy recovery of human antibodies against numerous molecular targets by serving as a technology platform. In turn, these molecular targets will help in tight immune regulation against infectious diseases and malignancy. The company offers several antibody programs for preclinical immunological antibody checking such as OX40 and GITR in addition to 4 other checkpoint programs. New York based Ludwig Institute for Cancer Research and Memorial Sloan-Kettering Cancer Center (MSKCC) is offering strategic collaboration in the antibody checkpoint programs. The final transactions are expected to be finished by February, 2014. Checkpoint molecules such as the Programmed death receptor-1 (PD-1) and cytotoxic T lymphocyte antigen-4 (CTLA-4) carry a significant affinity for monoclonal antibodies, which has generated a rapid spike of general interest in the cancer immunotherapy field. Once these checkpoint molecules are blocked, the immune cells regain their ability to attack cancer cells by unlocking the break mechanisms. OX40 and GITR are other checkpoint molecules that improve immune functioning. The Prophages vaccines are individualized and customized according to the immunological needs of each patient by processing the tumor cells obtained from the patient. Cancer cells elicit immune response by secreting/ expressing different proteins for which the T-cells have no recognition. The expression of abnormal proteins is the basis of immunological response againts cancer cells. The most effective method of eliciting an immune response against cancer cells is by stimulating the defense cells against the abnormal proteins that are expressed only on the malignant cells. The Agenus vaccines are actually heat-shock proteins that are introduced in the body of patients after laboratory processing to stimulate immune cells in a more optimal fashion. In the Phase 2 clinical study, the G-100 and G-200 Prophage Series will be used to manage the recurrent or acute glioblastoma multiforme. Melanoma is classified under the most aggressive forms of skin cancers that is associated with a very high mortality. It has been estimated that each year more than 160,000 individuals are diagnosed with this malignancy and over 9,480 patients died of this cancer in 2013. Research and statistics indicate that early diagnosis and prompt treatment can improve survival; nevertheless, malignant melanoma is known to involve distant organs and tissues through early metastasis. The biotechnology company Agenus Inc. has earned reputation as developers of innovative treatments for the management and treatment of complex health issues like malignancy and infectious diseases. Since their inception, the company has produced a number of immunotherapeutic drugs that are further studied and validated via clinical trials. Agenus Inc. also collaborates with other renowned pharmaceutical companies to extend the research and development processes. Currently, Agenus is actively involved in 23 drug development programs with its partners.